Birthdays are a wonderful way to celebrate one more year of life. Each person enjoys the special attention of family and friends on his special day. It is important to remember those family members and friends on their birthdays as well. The celebration of another year to enjoy their company is the ideal time to show them what they mean to you. 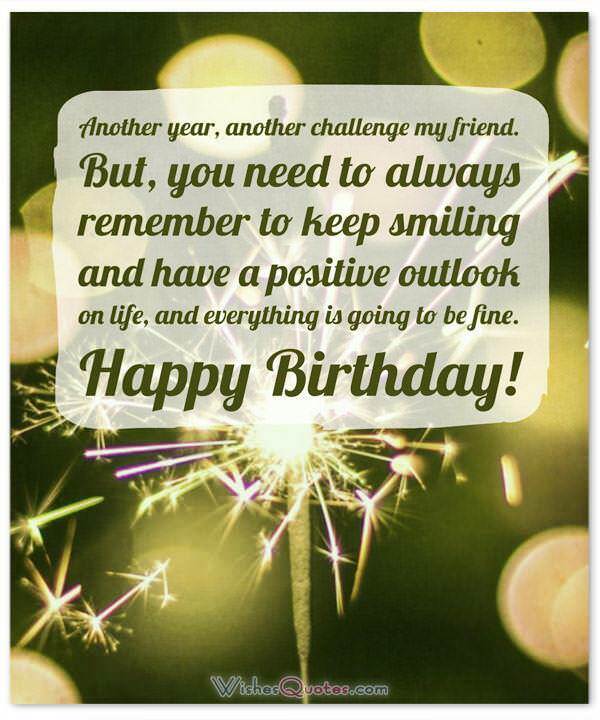 Rather than just writing happy birthday in your cards and gift tags use an inspirational quote or saying. 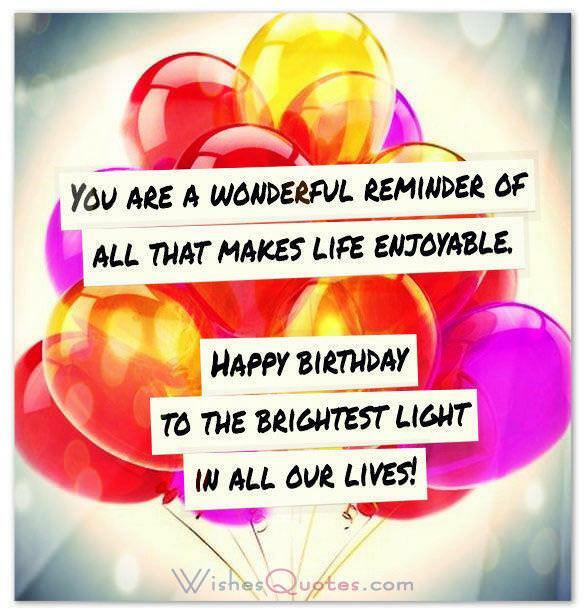 Browse our amazing collection of inspirational birthday wishes and send them an unforgettable message. As you grow older, and traverse down the path called life, I want you to remember that you are amazing, and capable of achieving greatness, and let nobody convince you otherwise! Happy Birthday!